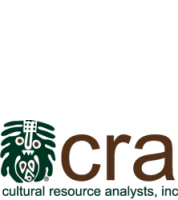 National Register Listing Can Provide Tax Credits | Cultural Resource Analysts, Inc. Within the last five years CRA has worked with several different clients to successfully list over 30 properties in the National Register of Historic Places, such as the John E. Pepper Distillery. The pursuit of National Register listing of properties is beneficial to property owners for a wide variety of reasons. The founder and operator of the circus training program Circus Mojo contacted CRA in September of 2012 regarding a National Register nomination in order to receive rehabilitation tax credits. Circus Mojo, based in Ludlow, Kentucky, calls the Ludlow Theater home, which was built in 1946 during the Post-World II movie theater boom. The current owner has done a considerable amount of work to convert the building for its new use as a circus school and performance space, and sought out CRA for assistance in getting the building listed on the National Register of Historic Places (NRHP). The NRHP nomination is the first step in the process of obtaining historic preservation tax credits for the rehabilitation of the building. The tax credits can only be applied to certified historic structures; a successful National Register nomination ensures that a building is certified historic, and therefore qualifies for these credits. After completing the NRHP evaluation, CRA recommended that the Ludlow Theater meets Criterion A for nomination and should be considered locally significant in the area of Entertainment/Recreation. At the time it opened, the Ludlow Theater was considered to have a sleek, modern design with modern amenities such as air conditioning. The theater served the community of Ludlow from its opening in 1946 through 1983 and was a central part of the community’s social scene. Although the theater was recommended for nomination under Criterion A, the significance in the area of Entertainment/Recreation is not the only requirement for listing; the building must also demonstrate integrity. Integrity is defined as the ability of a property to convey its significance in its material form. The integrity of the Ludlow Theater was evaluated, in light of its current physical condition, for its ability to convey its associations with postwar theaters and with the history and development of Ludlow. Because of this, the most important aspect of integrity for this building was its integrity of association and feeling. Integrity of association and feeling results from the culmination of a number of more detailed integrity factors: location, setting, and, to a lesser extent, materials, workmanship, and design. The Ludlow Theater retained enough of these defining characteristics to convey its associations with the patterns and influences of American culture on postwar movie theaters, as well as with the history of Ludlow and its entertainment culture. The National Register nomination process can be a confusing one for property owners, but with the assistance from an experienced architectural historian, like those at CRA, a successful listing is possible. Although listing does not guarantee the preservation of a historic property, is does provide more than an honorary status. National Register listing qualifies properties for historic preservation tax credits and requires federal agencies to consider the potential effects of their projects to the listed property during project planning. After all the hard work by the owner of the Ludlow Theater and CRA, the property was successfully listed in the National Register in April 2013.